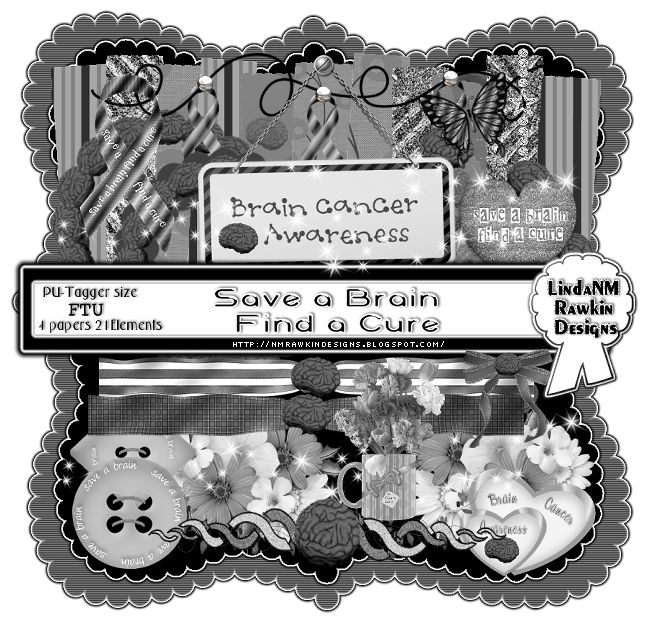 A friend of mine Melissa from Unique Styles asked in a PSP Group (Graphic Groupies) if we would like to make any thing for a Blog train for Brain Cancer because her friends mom has a form of brain cancer. I'm a new kit designer actually this is my second FTU scrap kit I have ever done and think I did a decent job with it hoping you like it and can find a use for it. Below is the post from her about her friend. rough time right now. Her mom was diagnosed with Glioblastoma. was to make some type of support tag for her. But the problem is there aren't many other awareness scrap kits out there. None being Brain cancer. So I set out to make a scrap kit, fitting this very awareness.